After a grim 2016, companies are returning to global equity markets, with Asia-Pacific set to remain a hotspot this year. Equity is coming back from a nadir, and what a comeback it is so far. March saw social media company Snap raise $3.4 billion in the largest US technology initial public offering (IPO) in five years, according to data from Dealogic. Companies in other regions, and across industries, are feeling bullish on equity again after a challenging 2016. 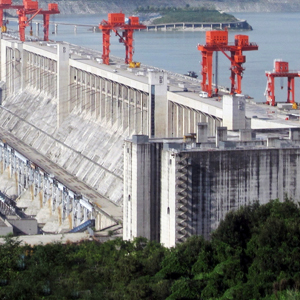 CITIC Securities helped China Yangtze Power, owner of China’s famous Three Gorges Dam (above) raise $2.7 billion. Last year marked the worst for equity capital markets since 2012, with global volume of $724.2 billion, down 21% from 2015, according to Dealogic. IPOs dropped 30% to $135 billion, also the worst level since 2012, the analytics firm reports. Political and economic uncertainty were the culprits, says Martin Steinbach, executive director at EY and leader of EY’s IPO leader network in Europe, the Middle East, India and Africa. Steinbach writes in a December EY report: “Rarely, if ever, has there been a year with quite so many complex, interrelated external factors for decision makers to contend with,” including the US election, Mideast tensions and Brexit. Companies, their banks and investors can clearly look to better opportunities this year, Steinbach adds. “2017 will see an uplift in global IPO volume and capital raised,” he predicts. Yet, our Best Investment Bank Awards research shows, even a tepid 2016 provided opportunities for creative, confident investment banks. Bold equity capital deals buoyed many and helped bring some to the top of our equity investment bank winners list. 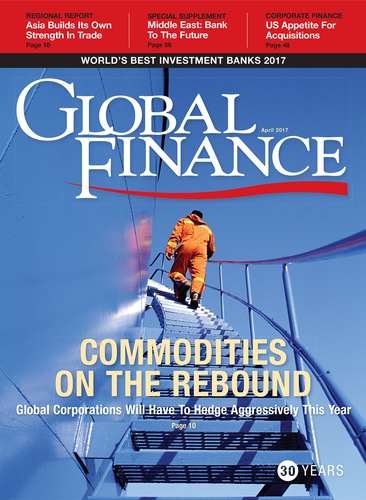 Our global winner in the equity arena is J.P.Morgan. Worldwide, J.P.Morgan raised $57.4 billion for its clients in 343 equity deals last year, for a 7.9% market share, outpacing other global competitors by at least a full percentage point. J.P.Morgan is also recognized for its work in North America, Western Europe and the Middle East. J.P.Morgan helped Bayer Capital Corp BV bring a $4.3 billion convertible bond offering to the Frankfurt Stock Exchange in November, Dealogic data show, and Italian oil and gas industry contractor Saipem SpA raise $3.9 billion in February, in a follow-on. Bulantsev, Sberbank: Many corporates were reluctant to go to the market with major public offerings. Equity capital markets largely began their recovery in the second half of last year, marked by the largest IPO of the year, the $7.6 billion listing of Postal Savings Bank of China in September. And a broad swath of investment banks, including global winner J.P.Morgan, and our winner in the Asia-Pacific arena, CITIC Securities, had a piece of the Postal Savings Bank pie. CITIC also helped China Yangtze Power raise $3.7 billion on the Shanghai Exchange in a follow-on deal, and battery company Fengfan Stock raise $2 billion, also in a follow-on. Analysts expect the Asia-Pacific region to remain a hotspot for equity this year. “With a strong pipeline of companies ready to list and investor sentiment unaffected by political shockwaves elsewhere in the world, we expect Greater China exchanges to remain the world’s most active markets for IPOs in 2017,” Ho adds. The African continent saw a slow equity market last year, but Java Capital, our winner in Africa, helped 16 companies raise $1.2 billion of equity in convertible and follow-on offerings, according to Dealogic. In Latin America, Itáu BBA, which won our recognition for best equity bank in the region, backed the one company to go public in Brazil last year, medical diagnostics company Alliar Medicos a Frente, which listed in October. This year, Itau is gearing up for more robust equity capital markets, Roderick Greenlees, Itáu’s global head of investment banking, tells Global Finance. 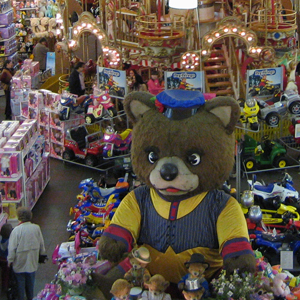 Sberbank CIB helped Russian children’s retailer Detsky Mir (above) with a successful IPO that some observers had questioned. One highlight of Itáu’s IPO pipeline: Sao Paulo-based airline Azul, led by Jet Blue founder David Neeleman. Azul is expected to go public—after two aborted attempts—to raise $800 million on the New York Stock Exchange, says Domenico Positano, Dealogic’s Americas ECM research manager. 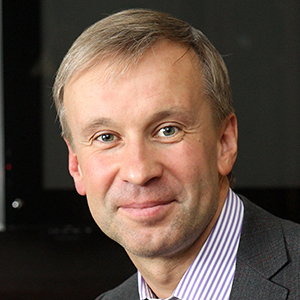 In Central and Eastern Europe there is similar good news for banks and companies, Igor Bulantsev, head of Sberbank CIB, which earned our award for best equity bank in the Central and Eastern Europe region, tells Global Finance in an email. 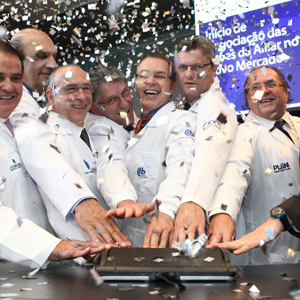 Executives of Alliar Medicos, backed by Itáu BBA, mark the start of trading for Brazil’s lone IPO of 2016. Given pent-up equity markets’ demand, companies are likely to provide investment banks with plenty of work to go around.